After posting the different location for the NBI Clearance Centers, I decided to do a research on where to get a NBI clearance "conveniently". Most of you will probably rolled their eyes but guess what, I did get my NBI clearance within the day and it took me 2 hours (it's still a breeze compared to the other NBI locations and the horror stories I've been hearing). I decided to apply in Robinson Otis. The mall is new and not all people knows the location of this mall. I think that's the reason why they are a few people going here. I left our home (Bacoor Cavite) at 5:45am and arrived in Robinson Otis at 7am. To go there, take a LRT train going to Monumento and alight in UN Avenue station. For others, take a shuttle going to Lawton and alight in Kalaw then walk to UN Avenue. Those people coming from North, take a LRT going to Baclaran and alight in UN Avenue. Same thing if you're riding a jeepney, just asked the driver that your destination is UN Avenue. Look for a tricycle that is colored red or yellow and just tell them that you're going to Robinson Otis. You will also see some pedicabs near EAC but I have no idea if they can take you to Rob Otis. By the way, the fare for the tricycle is Php 10. When I arrived in Rob Otis, there are people waiting outside. Obviously there purpose is to apply for a NBI clearance. I was 74 in the line and since NBI center inside the mall opens at 8am (weekdays), I have to wait for an hour which is okay with me despite the fact that I'm so hungry for skipping breakfast. By 8 am we are ushered to the 2nd level of the mall. 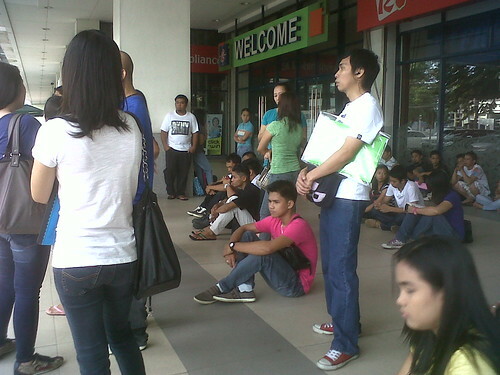 There's a holding area where NBI provided 90 seats for the applicants. The rest have to wait standing at the back of the chairs so make sure to be in the first 90 if you want to have a seat. Every 10-15 mins, the line is progressing so you can still have a seat eventually. They will be distributing the application form while in the holding area and one staff will guide you on how to fill-up the forn so be attentive. You don't have to bring anything except for a pen, one valid ID and Php 115 for the payment. 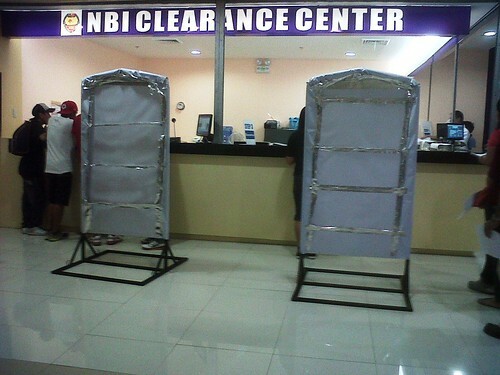 Old NBI clearance copies that you have is not needed since everybody is treated as first-time applicants. Note: For NBI Clearance Center in Robinson's Malls, they are accepting 500 applicants per day so it will be best to be there early to secure a spot. In NBI Main Office (UN Ave. Taft), they are accepting 2,000 applicants but I'm not sure if there are seats provided like the one in Robinson Otis. I have no idea with regards to the number of applicants allowed per day for Ever Gotesco malls. @Ladyviral: This is a document that needs to be renewed every year or whenever you will need to start a new job to prove that you don't have any criminal records. When you applied for jobs here in PH, this is a requirement always. Same thing when you applied for a passport or visa for other countries. @Missy: I'm not sure kung open pa sila but dun sa nakuha kong info last July 2011, open ang NBI Clearance Center sa mag Robinson Malls ng M-F from 8am-5pm then Saturday ng 10am-7pm. Hi! I just want to ask if you have an idea if the NBI Satellite Office in Muntinlupa is still in operation? I am from Cavite too and I used to renew my NBI clearance at their Muntinlupa office. Been calling their contact number but no one's answering. Thanks. Hello Islandgirl: I'm not sure if they are open. Yung list kasi na nakuha ko ang nakasulat lang is yung NBI clearance centers in Robinsons Malls, Ever Gotesco Malls and the NBI Head Office. hi, good day, just wanna ask, yung sedula ba is still one of their requirements to get a clearance, nagbibigay ba sila nito doon? 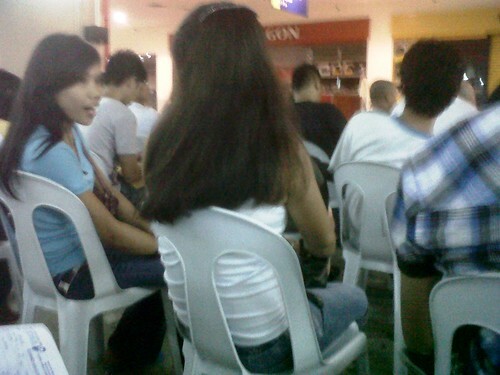 is nbi clearance center in robinsons still opperating? Yes, they's still in business. Just be there early since only the first 500 will be accommodated. Go to Robinson's Otis after lunch (arounnd 1-2pm) and there's no line at all. You'll finish within 5 minutes total. I don't understand why some would line up at 4am at Galleria or the main NBI in Manila when other branches arent busy. Got my clearance within 5 minutes. I didn't even have time to sit, except when filling up the form. Haha. Hi is NSO birth certificate valid as a requirement in securing NBi clearance? Yung maid ko kase need nya kumuha ng NBI clearance para mabigyan ng ID d2 sa condo, wala syang ID man lang. Pinakuha ko na lng sya ng NSO birth cert. sa SM. Hi....what if there is the so-called "hit" with your name, how many days will it take for you to get your NBI clearance? thank you! about NSO birth cert- I'm not sure if NBI will accept this but how about applying for a postal ID for your maid? It will only take 3-5 days and she will have one. On my case when I'm still in Makati I was able to get a postal code within a day but of course I have to pay Php 350 for it. about the HIT - One of the reasons I know is when you have a similar name. I'm not sure what else is the reason for the HITS. They will ask you to come back after a week from what I remember. hello po. saan po kumukuha ng number kung sarado pa po un rob otis?sa guard po ba? thanks po. are they open on a saturday? Thanks for the time creating this blog. I'm from Cavite also so this is very helpful. Cheers! 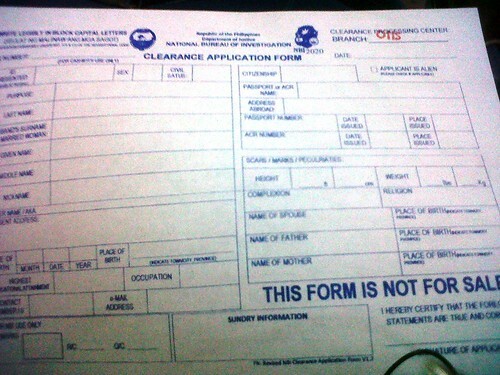 I got my NBI clearance last Dec. 15, 2011 but it was misplaced and I can't find it anymore. How can I get another copy and how much? Can I get it from any NBI center within Metro Manila? Thank you very much. FYI Guys, Please note that the NBI Robinson Otis office now opens at 10AM as they need to tighten security due to the robbery the past week in Robinson Galleria. Thank you for the blog kase talagang mas konti ang tao, quite disappointed lang kase i thought 8AM ang bukas. I ended up waiting 5 hours in line plus 1 hour actual processing of the clearance. it was a lot easier during the carriedo nbi time! and also during the old times when you just go to nbi main at around 3-4 pm when all the fools who lined up as early as 5am were finished! just go straight to the windows and boom! done in 5 minutes! Great post! :) Thanks! This is very helpful! Hi! Thank you so much for this very useful information. Will go to Rob Otis branch for my clearance. Thank you very much for this blog post! hi po..pwede ba yung brgy.i.d? wala po kasi akong ibang valid i.d.. I'm not sure if Barangay ID is accepted. Sorry I can't help you with that. How about applying for a postal ID? are there different types of travel abroad nbi clearances? thanks. Hi! May I ask if my school id is enough for the requirements? I just checked their website and it says there that 2 valid ids are req'd. I don't have any other valid ids aside from my school id. Thanks! I'm not really sure to be honest. But if you're a newly grad, I think NBI maybe lenient with regards to the ID. Or if you still have time, you can apply for a postal ID which you can get within a week or within a day. In my experience, I have to pay for Php 350 to get my postal ID within the day.